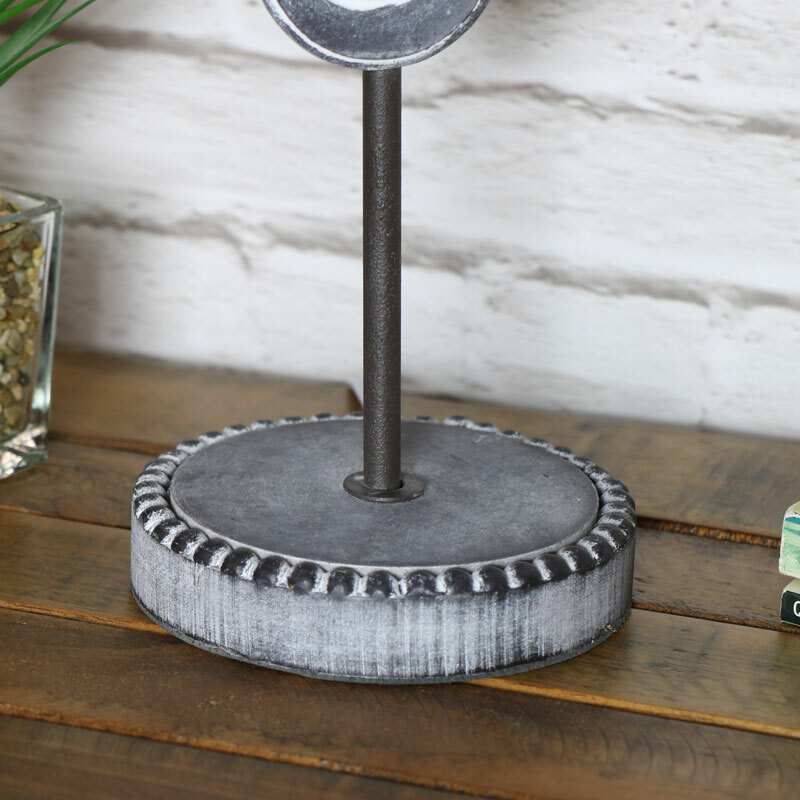 Give your home a feel of the country lodge with this fantstically stylish table lamp. Decorated with a stag head on the lamp base, this will look great in the living room, hallway or for use as a bedside lamp. Perfect for adding some soft lighting to a room, this lamp will make a quirky alternative to the more traditional table lamps. 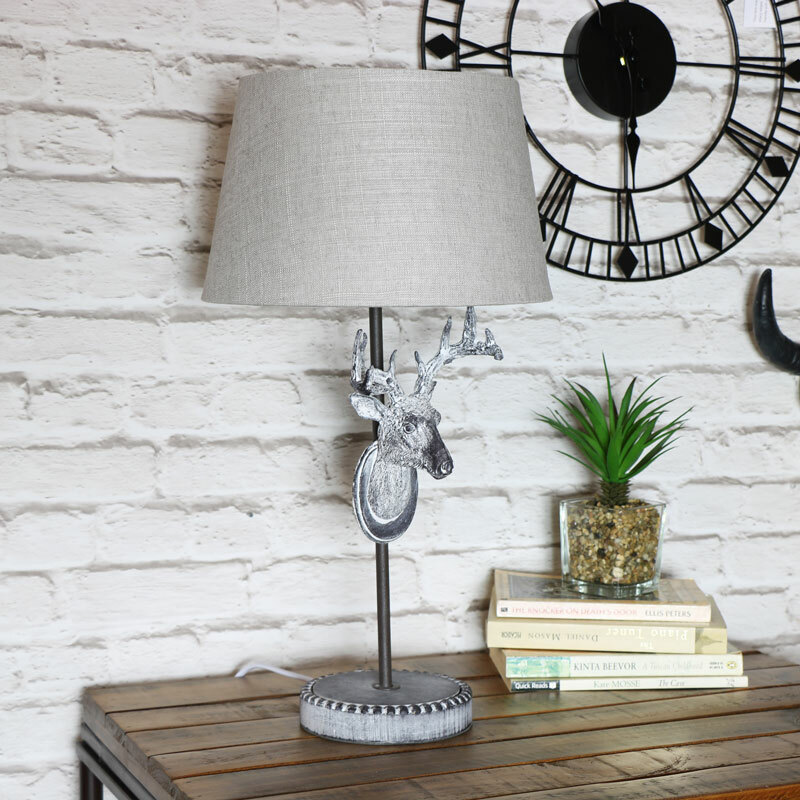 The lamp features a rustic grey stag trophy head mounted on the base with a grey cotton lamp shade. 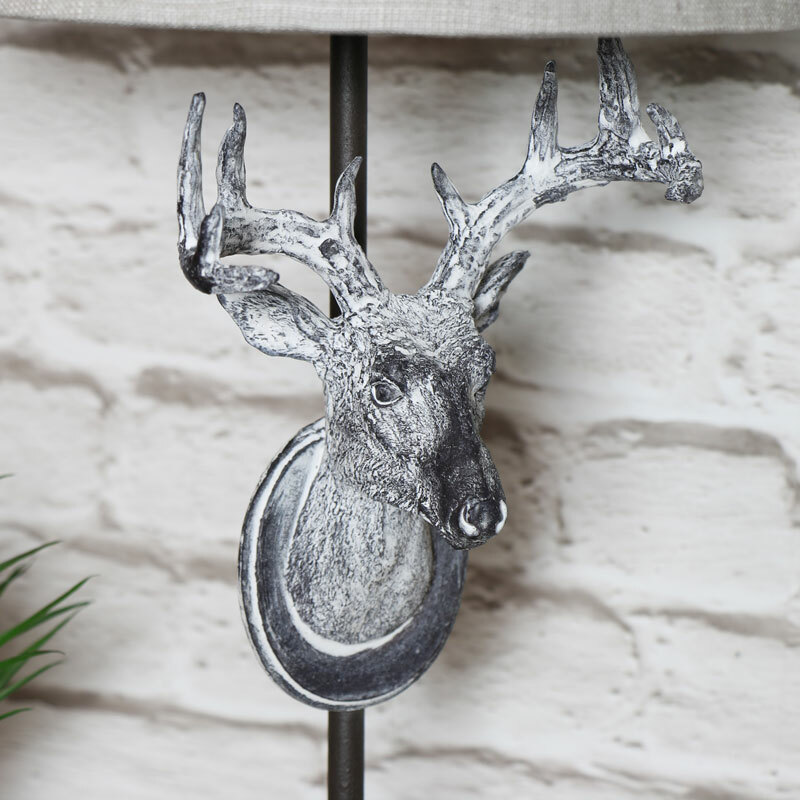 Constructed with a metal base and resin stag head detail in a rustic grey finish with grey cotton shade. The lamp is mains operated and features an online switch for easy access. With a large range of lamps from French chic to rustic and retro. Lighting up your home in fantastic style couldn't be easier.